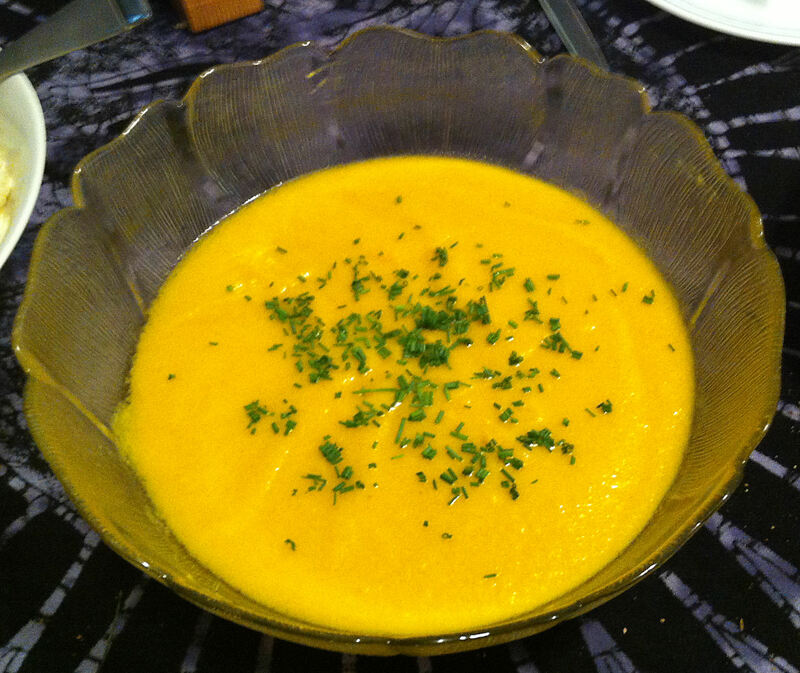 Vichyssoise is a fancy name for a potato and leek soup that can be served either hot or cold. Not one to leave well enough alone, I started adding seafood to it a couple years ago. 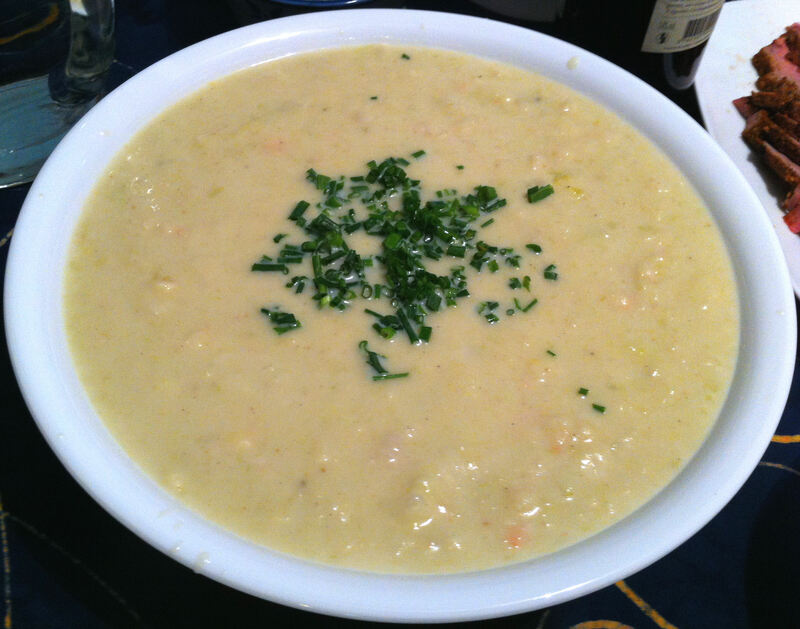 It soon became known as Fishyssoise in our household. 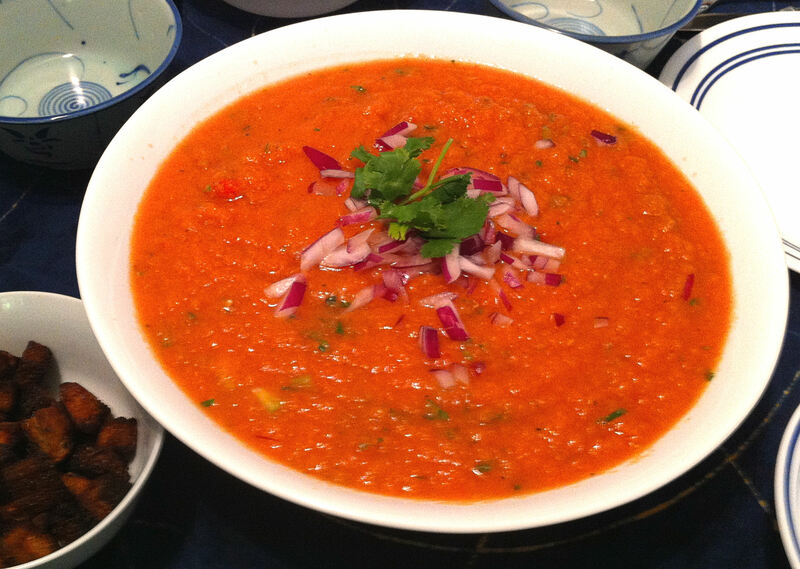 Traditional gazpacho always has bread in it, but modern variations frequently leave it out. Jan thinks of this dish as salsa soup. With Miriam’s soft food diet and Chris’ keto diet I can make all three of them happy by serving the bread as toasted croutons on the side.